Tessellation. 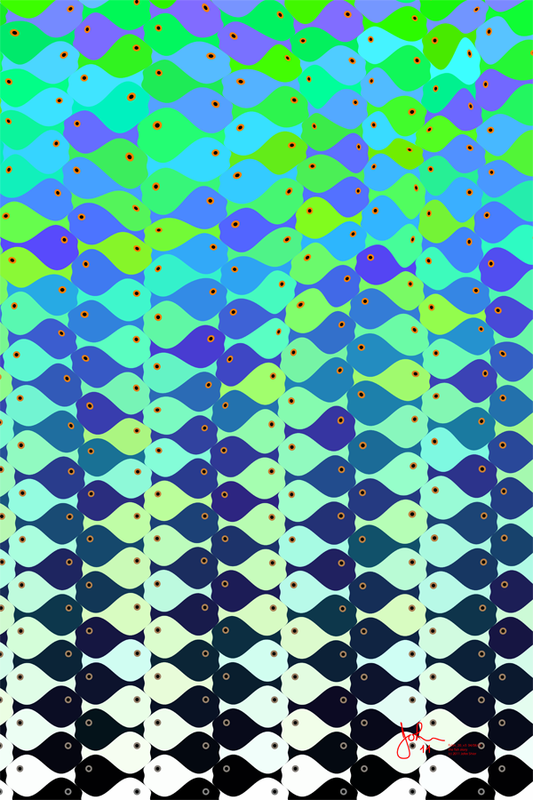 Much like some of the previous fish images, but with a gradation. At the bottom the fish are perfectly ordered without distortion, and are black and white. Both the color and the distortion progressively increase as you go up, so that the fish at the top have "come alive" and appear to swim.